A beautiful 4 BHK Residential House located in Kumhrar, Patna is up for sale. This well furnished house is perfectly ready-to-move-in with your family. This elegant abode faces towards North direction, overlooki ng the main road. It is perfectly constructed as per vaastu principles which ensure a peaceful and joyful home environment for the residents of this flat. It comprises of total 2 floors, i.e. ground floor and 1st floor. The ground floor comprises of a hall, dining area, 1 bedroom and 1 bathroom. The hall is spacious and adorned with a stylish wall unit. The bedroom is furnished with spacious wardrobes, and it also contains an attached western fashioned bathroom. 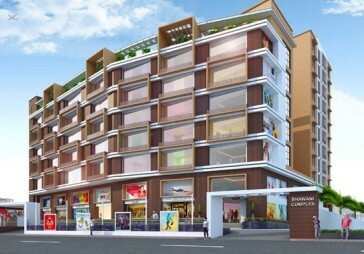 The 1st floor comprises of a hall, pooja unit, dining area, 2 bedrooms, 1 bathroom, 1 balcony and stylish modular kitchen. The balcony attached to the hall creates an overall fresh and lively atmosphere. The modular kitchen is equipped with granite platform, sink and spacious storage cabinets. Both the bedrooms are generously furnished with wardrobes, and the hall is equipped with an attractive wall unit. The common bathroom is skillfully designed in western style. This house is facilitated with ample bore well water supply and power backup assurance. Additionally, the maintenance staffs such as electricians and plumbers are easily available for handling any kind of repair issues.